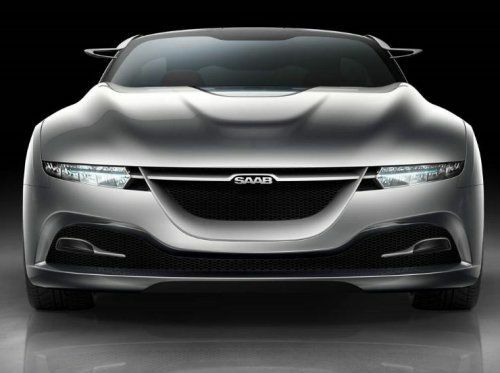 The $3 billion lawsuit filed by former Saab parent company Spyker against General Motors has been thrown out by a US district judge who ruled that GM had the right to prevent the sale of Saab to Chinese investors – perhaps finally ending the long, painful era of Spyker-owned Saab. For those who have lost track of the Saab saga, back in 2010, the struggling was sold by General Motors to supercar and race car builder Spyker. Spyker intended to reincarnate the Saab brand but when that plan fell through, Spyker began looking for investors. As problems (and debt) continued to rack up, Saab’s parent company (then known as SWAN), began looking to sell the brand and they were considering pretty much any offer. It turns out that all of the serious interest came from Chinese firms and that serious interest came with serious money. It seemed like any one of these Chinese firms would be able to swoop in with billions in capital to save the Saab brand – until General Motors showed disfavor with the possible buyers. Why does General Motors have any say in who buys a brand that they sold off years earlier? Well, almost all of the current Saab vehicles are based on General Motors vehicles as a result of the long term ownership of Saab by GM. Even after Spyker purchased Saab, GM was still providing a great many components for the existing vehicles and in some cases – GM was still building them at their factories. Whoever purchased Saab would essentially be buying access to essentially sell rebadged General Motors vehicles. The buyer would have access to literally every aspect of those components designed, engineered and built by GM including information that is classified within the company. General Motors would have to work closely with the next buyer of the Saab brand and that seems like a pretty clear reason why the American automaker would have say in who purchased Saab. In the long run, General Motors refused the sale of Saab to any company on the short list of Chinese firms and that lead to the eventually bankruptcy of Saab and SWAN. The assets of the Saab brand were seized by the Swedish government and eventually sold for pennies to National Vehicles Electric Sweden (a company with heavy business ties in China) through the bankruptcy proceedings. This relieved SWAN – who then changed their company name back to Spyker – of the cumbersome Saab brand seemingly ending that chapter of the Saab saga. However, Spyker had a bone to pick with General Motors and the Swedish company sued GM for a whopping $3 billion dollars in damages – claiming that GM had blocked the sale of Saab unfairly. Fortunately for GM, U.S. District Court Judge Gershwin Drain dismissed that massive suit last night, ruling that General Motors did indeed have the contractual right to approve any possible buyer of the Saab brand that relied so heavily on their components. Evidently, one of the terms of the sale of Saab to Spyker was that GM had the right to veto a prospective future buyer and Spyker knew this when they bought the struggling brand. The judge also went on to point out that GM did not shoot down the sale to Youngman Lotus as an attempt to harm Spyker or Saab – making the suit by Spyker invalid and it was thrown out altogether. Spyker could appeal this ruling but company boss Victor Muller told Reuters that the company would wait for the official written ruling before making any decisions on their next move. Spyker has to be in rough financial shape after the failed rebirth of Saab so it will be interesting to see if they can go on building Spyker brand vehicles without the $3 billion payment from GM.